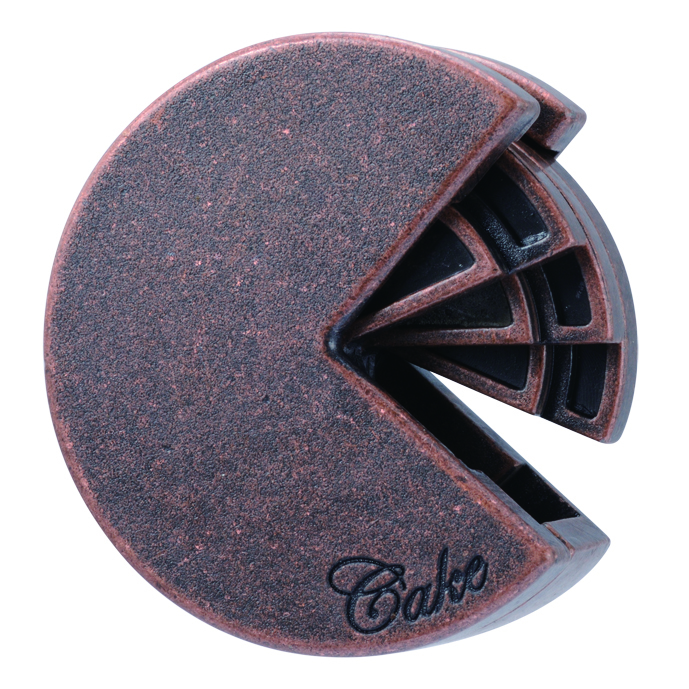 A quarter of this cake has been cut away showing three identical layers inside. This puzzle looks simple but it is very ingenious. Design: Bram Cohen. Level 4/6. Package size: 7,5 cm x 11,5 cm x 4,5 cm. This product was added to our catalog on 29.11.2016.